Throughout the centuries, Italian armour was highly prized for incredible detailing and superior style. 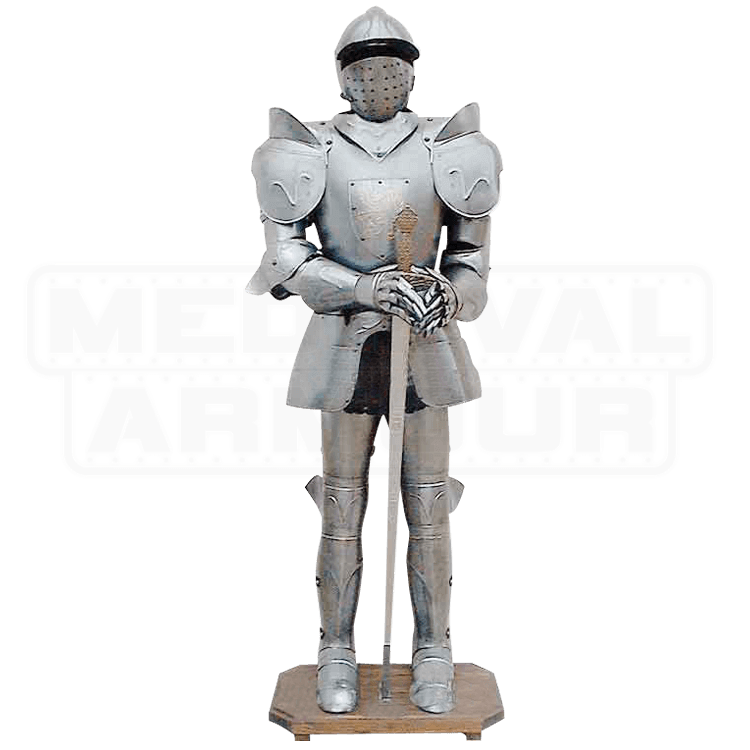 This superb reproduction armour is crafted in the styling tradition of those master craftsmen who created the originals for kings and knights throughout Europe. See the difference between a suit of armour from Italy and others made elsewhere, there is no comparison in styling. 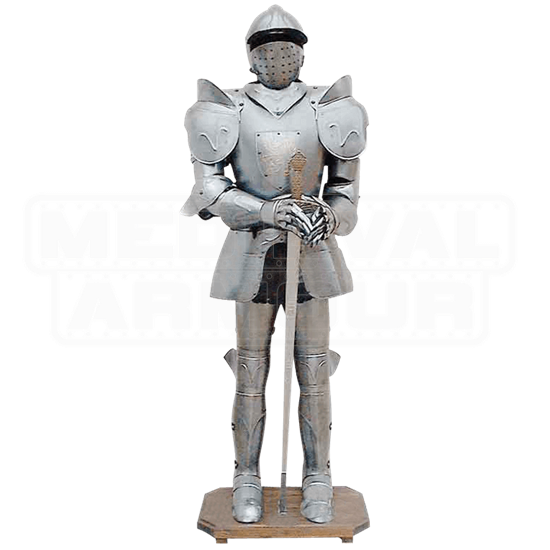 Each articulated suit of armour is made of no rust aluminum for ease of upkeep and stands on its own wood base. Lion Crest Armour is an impressive armour with a stately gold lined rampant lion adorning the shield on the breastplate. Standing about 6 feet tall on its wooden base each Lion Crest Armour comes complete with its own sword. The Lion Crest armour has a hued finish.